Professor Woo Chang Kim of the Industrial and Systems Engineering Department has been elected as the Managing Editor of Quantitative Finance. Founded in 2001, Quantitative Finance has been an internationally-acclaimed peer-reviewed journal in the field of financial engineering, along with Mathematical Finance. This is the first time for a Korean researcher to be named for the editorial board, which consists of eminent scholars from around the world, including four Nobel laureates. Professor Kim’s expertise lies in financial optimization, portfolio management, and asset liability management. In recent years, he has focused his research on robo-advisors in the area of FinTech, and for this contribution, he was appointed as managing editor. 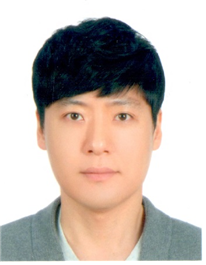 Professor Kim also served as an editor, deputy editor, and a member of the editorial boards for various journals, including the Journal of Portfolio Management and Optimization and Engineering. Currently, he serves as a member of the Korean National Pension Fund’s Electoral Commission, an adviser to Samsung Asset Management Co., Ltd., and the director of the KAIST Asset Management for Future Technology Research Center that was opened in October 2016.